Copied from his original manuscript and slightly abridged by his son, Lauman Ben Johnson. Retyped from photocopy of typed manuscript of son, Lauman Ben Johnson, on March 7, 1990. Moses C. Johnson. Copied from his original manuscript and slightly abridged by his son, Lauman Ben Johnson. Moses C. Johnson. 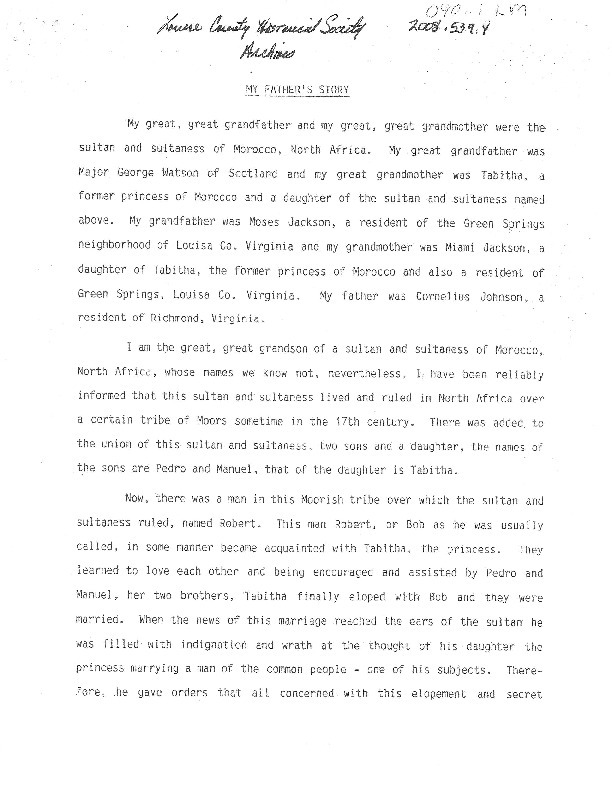 Copied from his original manuscript and slightly abridged by his son, Lauman Ben Johnson., “My Father's Story,” Piedmont Virginia Digital History: The Land Between the Rivers , accessed April 25, 2019, http://piedmontvahistory.org/archives14/index.php/items/show/1698.